Software Packages for free download or operation: GRASP2K Package with RCI update for self-energy etc. 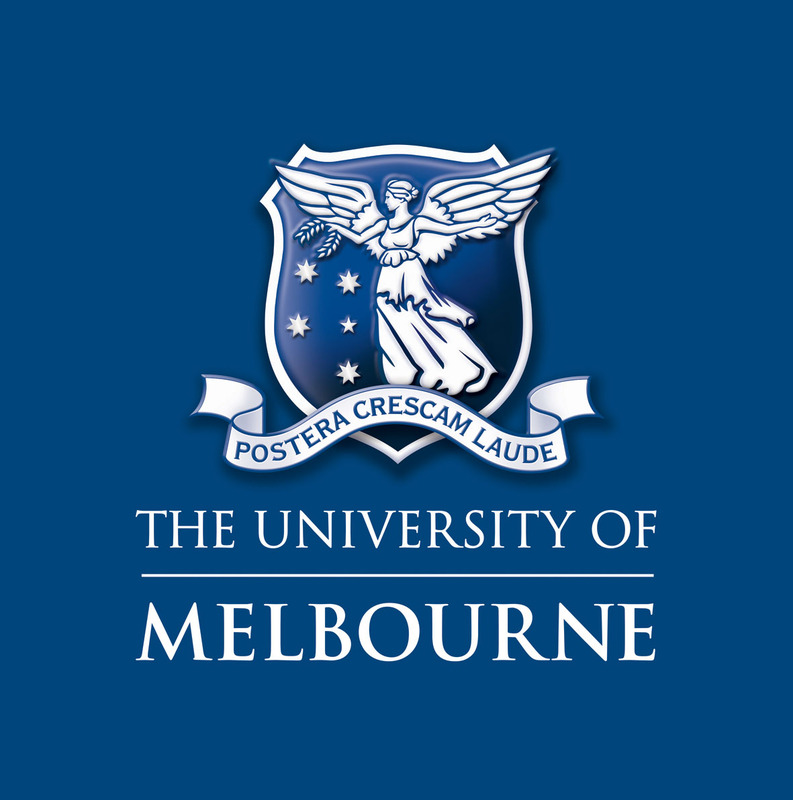 © The University of Melbourne 1994-2017 Disclaimer and Copyright Information. Professor in Physics at The University of Melbourne. Fellow of the Australian Institute of Physics. Editor-in-Chief, Radiation Physics and Chemistry. Chair, International IUCr Commission on XAFS. Editor, International Tables for Crystallography Volume I: XAS. President International Radiation Physics Society. As at February 2017, I have published some 171 [Update] refereed scholarly papers/book chapters, plus an additional 301 conference presentations including some 56 invited orals and 44 selected orals. For my fields and physics in general, more useful measures are publications per author or citations per author. BSc (Hons 1) University of Western Australia, 1980 - 1984. D. Phil. Exeter College, Oxford University 1985 - 1990. Lady James Prize (Physical Science, UWA) 1983 (shared) Digby-Fitzhardinge Memorial Prize for Physics (UWA) 1982. How do X-rays get absorbed, diffract and scatter from matter? Can we predict the shape of X-ray Absorption Fine Structure? Do we understand the fundamental forces between charges? Quantum Electro-dynamics (QED) explains how light interacts with matter and is fundamental to most of the technology we use today. Quantum Electrodynamics is one of the two best-tested theories in physics and science. It is the most trusted example of a Quantum Field Theory in practice. Yet certain problems in its formulation lead people like Roger Penrose to assume that there are fundamental flaws in the theory. Our experiments at the cutting edge may reveal such an inadequacy, by being more sensitive to important terms and interactions than other available tests. Coming experiments can test alternate competing theories. QED is the primary explanation of the interaction of light and charge, and is fundamental to much of the physics which we assume and rely on in the world today. Experimental and theoretical developments in 1998 - 2015 are questioning the current theoretical approaches. Can hints of string theory, extra dimensions, or other formulations be found in atoms? Are our approaches to field theory and QED complete? Are our treatments of correlation and correlated QED complete? In particular, our recent (2012) discrepancy and pattern is reported in Phys Rev Lett and Physics Today and appears to be a significant (over 5 s.e.) discrepancy from latest theory. This anomaly has been strengthened in 2014 publications with much media comment. A key dilemma is to let the experimental data and uncertainties speak for themselves without forcing them to agree with preconceptions; and indeed to allow for and uncover systematic effects as far as possible. The investigation of the discrepancy for muonic hydrogen reported in Nature is another discrepancy in fundamental physics which will not go away after almost 5 years of intensive research. People like Ulrich Jentshura have commented that, as it stands, it is a critical test of physics beyond the Standard Model, despite or because it is a low interaction energies. We note that our analysis in general uses a minimalist least-squares fitting procedure and to first order assumes uncertainties presented in the past literature are valid. This is fact raises the questions we have observed. It is then the pattern of discrepancies which begins to speak for itself. I have pursued precision tests of Quantum Electrodynamics in atomic systems, and in a series of international collaborations have produced several high-precision measurements of QED in the medium-to-high Z regime. I have been involved in the development of X-ray specroscopy on the novel Electron Beam Ion Trap devices, in collaborations primarily at NIST. I have worked on few-electron physics for 30 years and have extensive experience with investigations at accelerators in Oxford, GSI, Lawrence Berkeley Laboratory and Argonne. We have performed the most precise measurements of the resonance lines of a helium-like ion in the Z=19-31 range, which allows sensitivity to two-electron QED effects and excited-state QED effects. 24. S. N. LEA, W. A. HALLETT, A. J. VARNEY, C. T. CHANTLER, P. E. G. BAIRD, J. D. SILVER, A. R. LEE, J. BILLOWES, Intra-cavity laser resonance spectroscopy of hydrogen-like silicon ions, Phys. Lett. A185 (1994) 327-332. 17. H. F. BEYER, K. D. FINLAYSON, D. LIESEN, P. INDELICATO, C. T. CHANTLER, R. D. DESLATTES, J. SCHWEPPE, F. BOSCH, M. JUNG, O. KLEPPER, W. KONIG, R. MOSHAMMER, K. BECKERT, H. EICKHOFF, B. FRANZKE, A. GRUBER, F. NOLDEN, P. SPADTKE, M. STECK, X-ray transitions associated with electron capture into bare dysprosium, J. Phys. B26 (1993) 1557-1567. Investigation of new structure in atomic systems has continually developed our understanding of physics and quantum phenomena. One of the goals of much current research is to test Quantum Electro-Dynamics (QED) critically in new and important regimes. Some areas of parallel investigations include exotic atoms like muonic hydrogen, muonium, and positronium, and some investigations have involved g-2 experiments in different systems. Most effort has been directed to Lamb shift measurements in hydrogenic and helium-like systems. A significant realisation of recent years is that these complementary endeavours are investigating different fundamental issues and making major contributions to different fields. How can relativistic quantum mechanics predict absorption and scattering coefficients, and are the results accurate? Here the atomic scattering factor is given for Uranium at medium X-ray energies (keV). Click the figure for the corresponding attenuation coefficients. Some of our theoretical developments in the computation of form factors have resulted in significant improvements upon earlier work, which can be tested by suitable experiments. The computations have been confirmed in selected regions. Atomic form factors determine photoelectric cross-sections, elastic and inelastic scattering cross-sections and X-ray (Bragg-Laue) coherent diffraction profiles. Major discrepancies exist between theory and experiment. The Web database has been receiving 20000 hits per month since electronic installation as one of the three major references for atomic form factors and attenuation coefficients. Reliable knowledge of these factors is required for conventional fields such as crystallography and radiography, and also for the new fields of X-ray Anomalous Fine Structure (XAFS) and Multiple-wavelength Anomalous Dispersion (MAD). 159. C T Chantler, TVB Nguyen, JA Lowe, IP Grant, Convergence of the Breit interaction in self-consistent and configuration-interaction approaches, Phys Rev A90 (2014) 062504 - 1 - 8. 121. C. T. Chantler, J. A. Lowe, I. P. Grant, Anomalous satellite intensity discrepancy in copper X-ray lines Phys. Rev. A85 (2012) 032513. 160. L. F. Smale, C. T. Chantler, J. A. Kimpton, Methodology for the Characterisation of Characteristic Spectral Profiles, Applied to chromium K beta, X-ray Spectrometry 54 (2015) 54-62. 39. C. T. Chantler, Detailed new tabulation of atomic form factors and attenuation coefficients in the near-edge soft X-ray regime (Z=30-36, Z=60-89, E=0.1 keV 8 keV), addressing convergence issues of earlier work, J. Phys. Chem. Ref. Data. 29(4) (2000) 597-1056. 26. C. T. Chantler, Theoretical form factor, attenuation and scattering tabulation for Z=1-92 from E=1-10 eV to E=0.4-1.0 MeV, J. Phys. Chem. Ref. Data 24 (1995), 71-643. Our recent experiments are two orders of magnitude more accurate than earlier work and reveal new physics, new processes and new applications. If we understand how light interacts with matter, we can use this insight in further applications. The way that X-rays interact with matter should be well understood. However, deviations between latest theoretical computations lies at the 10% level over much of the energy ranges, for most elements. Even for the most investigated elements such as Si, Cu, Ag, Au, the few experiments which claim 1% precision show variation of 5-30%. We are addressing this with synchrotron experiments and with state-of-the-art facilities. Recent results have broken through this barrier to an unprecedented 0.01% precision and 0.02%-0.3% accuracy - an improvement of two orders of magnitude over previous work. 37. C. T. CHANTLER, Z. BARNEA, C. Q. TRAN, J. TILLER, D. PATERSON, Precision X-ray optics for fundamental interactions in atomic physics, resolving discrepancies in the X-ray regime, Optical & Quantum Electronics 31 (1999) 495-505. 2. C. T. Chantler, "Towards improved form factor tables", pp 61-78, Invited review chapter in Resonant Anomalous X-Ray Scattering. Theory and Applications, G. Materlik, K. Fischer, C.J. Sparks, eds, (Elsevier, North-Holland, 1994). X-ray Absorption Fine Structure (XAFS) is a complex structure seen in the absorption coefficient just above the absorption edge, where an incoming X-ray has enough energy to ionise an electron from a particular bound state. The oscillations seen are particularly due to an interference effect between the emitted photoelectron and its own reflected wave. This signature allows many investigations of local structural information for crystallographers, chemists, medical scientists and mining / engineering investigations. Medical and biomedical research depends upon linking structure to function, and is dominated by the dynamics of active centres. This lies at the centre of XAFS research whenever the key catalytic agent is metallic of has an atomic number above 10. Some third or more of Australian synchrotron research uses XAFS (and the related technique called XANES) to indentify band distances, chemical valence, nearest neighbour coordination and geometry, and local structure. Our new experimental techniques allow XAFS determination with an accuracy increased by up to two orders of magnitude, which in turn challenges all available theory and modelling. Our analytical work puts these discrepancies on a firm foundation, and our theoretical development holds promise to develop new tools and methods of insightful analysis. With Joel Brugger, Chris Ryan, Don MacNaughton, Stephen Best and others, we received a large LIEF grant to develop these resources for high-accuracy experiments and extreme chemistry and earth science investigations. 55. Martin D. de Jonge, Zwi Barnea, and Christopher T. Chantler, "X-ray bandwidth: Determination by on-edge absorption and effect on various absorption experiments," Phys. Rev. A 69 (2004) 022717-1 -12. 48. C. T. Chantler, C.Q. Tran, Z. Barnea, D. Paterson, D. Cookson and D.X. Balaic, Precision Measurement of the X-Ray Mass Attenuation Coefficient of Copper Using 8.85 keV - 20 keV Synchrotron Radiation, Phys. Rev. A64 (2001) 062506-1 - 15. 44. C. T. Chantler, C.Q. Tran, D. Paterson, D. Cookson and Z. Barnea, "X-ray Extended-Range Technique for Precision Measurement of the X-Ray Mass Attenuation Coefficient and Im(f) for Copper Using Synchrotron Radiation," Phys. Letts A286 (2001) 338-346. 43. C. T. CHANTLER, C. Q. TRAN, D. PATERSON, Z. BARNEA, D. J. COOKSON, Direct Observation of Scattering Contribution in X-ray Attenuation Measurement, and evidence for Rayleigh scattering from copper samples rather than thermal-diffuse or Bragg-Laue scattering, Rad. Phys. Chem. 61 (2001) 347-350. We have been invited to address some critical problems involving anomalies in astrophysical observations and data. Tools to investigate these in laboratory sources or using advanced theory can reveal key pieces of outstanding problems and puzzles. Several of our studies have provided the first absolute polarisation measurement at an EBIT; and investigated key plasma processes and dynamics in highly ionized systems. Plasmas in astrophysical sources, aurorae, accelerators, EBITs and Tokamaks are of extreme interest in interpreting anomalies and dynamics, as well as long-term energy sources. A new EBIT proposal linked to a synchrotron offers the possibility of direct inquiry into laboratory-controlled understanding of dynamic interactions in plasmas. Powder Diffraction is often required for structural determination of biologically active molecules, viruses, proteins or enzymes as well as for small inorganic molecules, especially where the samples cannot be grown into large crystals. Standards for powder diffraction are well-known and widely used; though not frequently used in local Australian research. These standards are dominated by pure silicon powder and lanthanum hexaboride powder, which are the two principal lattice (and intensity) standards used in the world today. These standards are maintained by NIST. They determine the lattice parameter of an unknown sample under investigation and are a critical tool in determining the synchrotron beam energy in an experiment. Additionally, they monitor and can reveal several types of systematic errors in typical experiments. In recent work using the X-ray Extended Range Technique (XERT) we have redetermined the lattice spacing of the second standard (LaB6) compared to the primary standard (Si) and find several standard deviations of discrepancy. This (i) proves that synchrotron techniques can be used to determine such standards and (ii) is the most accurate determination of lattice spacing except for that of silicon itself. This opens up the way for the implementation of new standards and methods of analysis. 56. C. T. Chantler C.Q. Tran, D. J. Cookson, "Precise measurement of the lattice spacing of LaB6 standard powder by the x-ray extended range technique using synchrotron radiation," Phys. Rev. A69 (2004) 042101-1 -11. These issues impact upon X-ray diffraction theory. My diffraction theory is the first dynamical theory for non-ideally imperfect curved crystals (and simpler subclasses) and shows significantly greater agreement for perfect curved crystal profiles than previous work. The X-ray interaction with photographic emulsions is an interesting application of ideas from basic physics. Active areas of interest and development include ion chamber optimisation, new detector technology, state-of-the-art spectrometry and 2-dimensional (backgammon) proportional counters. Applications of these ideas have led to new calibration devices for radiography and mammography, now patented in the US as part of the Quantum Metrology Group effort in the Atomic Physics Division at the National Institute for Standards and Technology, USA. 31. L. T. HUDSON, R. D. DESLATTES, A. HENINS, C. T. CHANTLER, E. G. KESSLER, J. E. SCHWEPPE, Curved Crystal Spectrometer for Energy Calibration and Spectral Characterization of Mammographic X-ray Sources, Medical Physics 23 (1996) 1659-1670. 29. C. T. CHANTLER, R. D. DESLATTES, A. HENINS, L. T. HUDSON, Flat and Curved Crystal Spectrography for Mammographic X-ray Sources, British J. Radiology, 69 (1996) 636-649.